The LTD 10 Series is designed for beginners and players on a tight budget who still want a solid instrument for the money. Even if you’re just getting started on bass, the B-10 Bass is your doorway into the ESP family. It has a smooth and comfortable thin U-shaped maple neck, making it easier to build up your abilities. 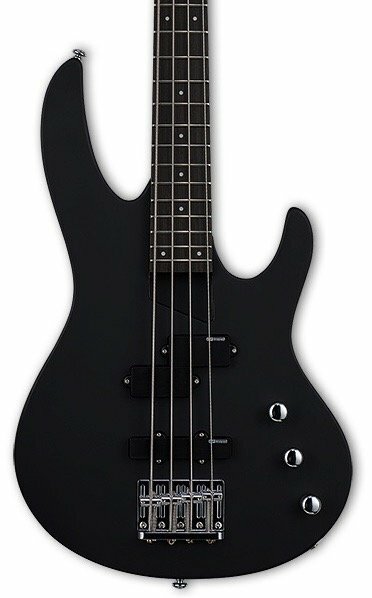 It’s a very comfortable bass that anyone can use to learn and play, and good-sounding ESP Designed pickups including an active Tone Boost Control. It also includes a free gig bag case to make it easy to get your bass around to lessons, jams at friends’ houses, or wherever you want to rock. Available in Black Satin finish.